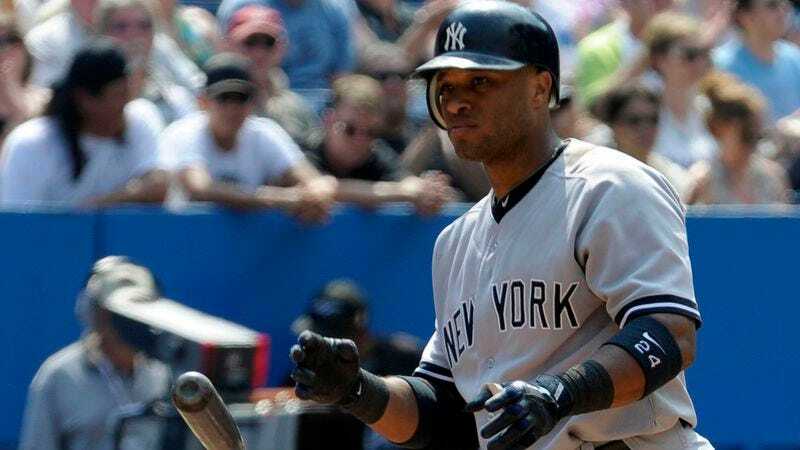 NEW YORK—According to sources around the league, the New York Yankees have held discussions with multiple teams about All-Star second baseman Robinson Cano, specifically concerning how vital he is to the Yankees’ success and thus how important it is that they keep him in pinstripes. "Brian Cashman called me up this past week and asked what we'd be willing to give up for Robinson Cano, but before I could even answer, he said, 'Whatever it is, it wouldn't be enough, because we just love the guy,'" an executive within the Blue Jays organization told reporters. "Finally he said he wanted to get serious and talk about Jose Bautista, but it turns out he was just wondering if we appreciate having him on our team as much as they appreciate having Cano." Sources around the league have also reported the Yankees’ willingness to entertain teams inquiring about CC Sabathia with a song they've written about their devotion to the All-Star pitcher.